It was during the cataclysm of the Civil War that the railroad emerged to the forefront in terms of military tactics as a method of supply--- and as a target. The importance was recognized early in the war as rail routes were sabotaged causing delay and disruption. Both the Union and Confederacy employed this strategy---the South was more successful early in the war and the North more so in its latter stages. One early attempt endorsed by the Federal Army occurred on April 12, 1862 that began in the town of Big Shanty, GA (renamed Kennesaw in 1870). A civilian spy by the name of James J. Andrews conceived a plan for disrupting the vital Confederate rail corridor of the Western& Atlantic Railroad. The route which connected Atlanta, GA and Chattanooga, TN was a supply line for troops and supplies. The Federal military objective led by General Ormsby Mitchell was to capture Chattanooga and a key component of this plan was to eliminate the possibility of Confederate reinforcements once the attack commenced at Chattanooga. Andrews idea was to lead a party of raiders to penetrate deep along the route of the W&A, steal a locomotive, and began a northbound trek towards Chattanooga leaving in their wake a destroyed railroad and disrupted telegraph communications. On April 7, Andrews chose twenty-two volunteers from Ohio regiments to partake in this daring scheme and one civilian, William Hunter Campbell. The Ohio soldiers dressed in civilian clothes and posed as new Confederate recruits as they embarked on a 200 mile trip deep into enemy territory to the destination of Marietta, GA. En route, two men were arrested thereby decreasing the number of men to twenty-one of which to carry out the plot. That number was further decreased at Marietta when two men overslept as the remaining raiders boarded a northbound train to initiate the plan on April 12 which by happenstance, the first anniversary of the war which began at Fort Sumter. The Texas famous counterpart, Western & Atlantic Railroad 4-4-0 #3, the General. Pictured at Chattanooga, TN in 1907. 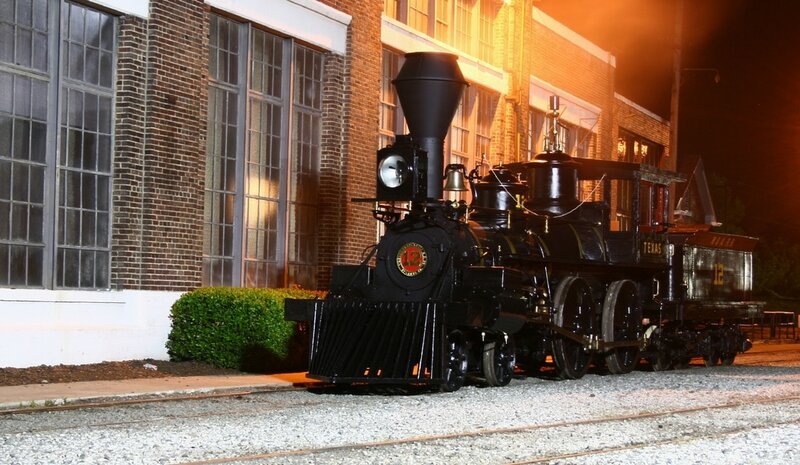 The restored General on display at Kennesaw, GA. Image by Harvey Henkelman. Seven miles to the north of Marietta was located the stop of Big Shanty. James J. Andrews selected this point to hijack a locomotive because it lacked a telegraph; thus, no points north could be alerted from here. As their train stopped to replenish wood and water, Andrew’s men disembarked to eat breakfast. Afterward, the men uncoupled the passenger cars leaving only three boxcars remaining coupled to a locomotive named the General. It was at this moment that both the men and General began the ascent into historical lore. 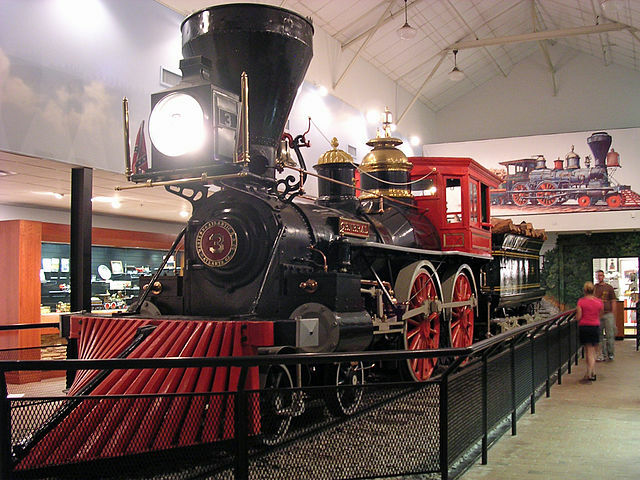 Discovering that their locomotive was stolen, three railroad men immediately began pursuit on foot until reaching the stop at Moon Station where a handcar was obtained. Two of these men, Anthony Murphy and Captain William Fuller, would doggedly pursue the General and its raiders for seven hours traversing eighty seven miles thereby earning heroic status in the South. Once reaching the stop at Etowah Station, Fuller acquired a locomotive, the Yonah, in which they chased the General for the next 11 miles. Meanwhile, Andrews and his men, now aware of the pursuit, cut telegraph lines and pried up rails. At Kingston, Andrews Raiders with the General are delayed by the passage of southbound trains as Fuller and his men remain in pursuit. 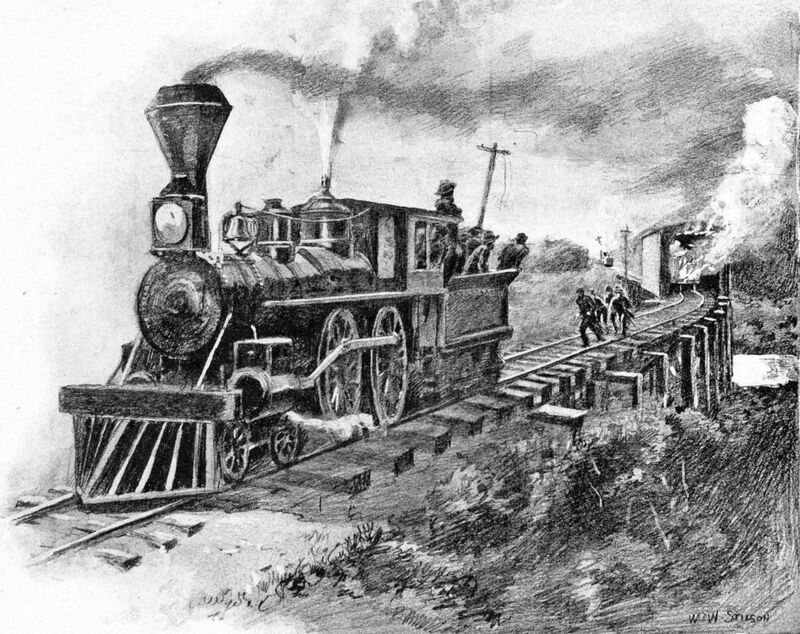 Shortly after the General finally departs, Fuller and his men arrive at Kingston and switch to another locomotive, the Rome Railroad William R. Smith. North of Kingston, they encounter destroyed track and continue the chase on foot until reaching the proximity of Adairsville. 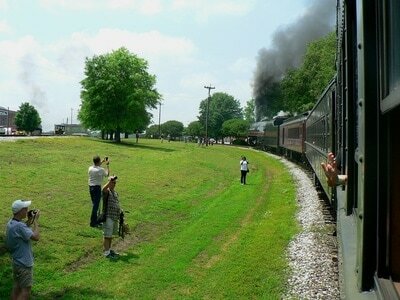 It is here they discover a southbound freight pulled by the locomotive Texas. Fuller and his men commandeer the train and drop the cars—but since it was moving south—it must continue the northbound chase running in reverse. As the raiders cut wires and track between Calhoun and Resaca, Fuller and the Texas close the gap and slow briefly to pick up a telegraph operator. Soon, the Texas is spotted by Andrews men and they drop a boxcar in an attempt to slow their pursuers. A second boxcar is uncoupled shortly thereafter and at the Oostanaula River bridge south of Resaca, the final boxcar is ignited and uncoupled in attempt to burn the bridge which fails. To the north at Tilton, an attempt is made to replenish the General with wood and water but with the Texas closing in, only a scant amount of both were obtained. Andrews Raiders last desperate act was the attempt to burn the Oostanaula River bridge. The Texas was in visible pursuit. 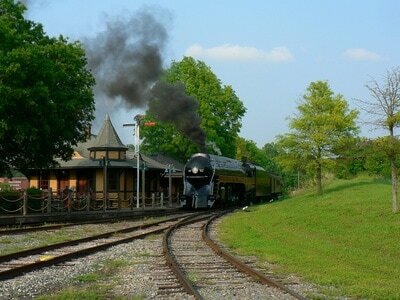 North of Ringgold, GA, the General runs out of steam 20 miles short of the objective, Chattanooga, TN. 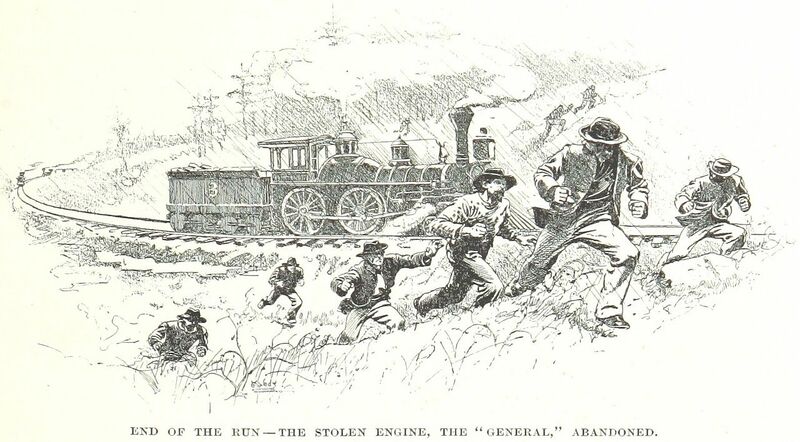 The men abandon the locomotive to avoid capture. All were caught within two weeks. The General continued north passing through Dalton and Tunnel Hill with the Texas hot on its heels. Two miles north of Ringgold, the General was depleted of steam with Andrews and his men scattering from the scene. They were stopped 20 miles from reaching their destination of Chattanooga and all of the men were ultimately captured within a week including the two left behind at Marietta. Of the twenty-one men that comprised Andrews Raiders, eight were executed including Andrews himself. The remaining men either escaped or were prisoner exchanged. In spite of the daring attempt, the Andrews raid was militarily inconsequential. Although damage was inflicted to the Western & Atlantic Railroad, it was quickly repaired. The Andrews Raid and corresponding Great Locomotive Chase entered the realm of lore in both North and South on the basis of its audacity and tenacity. As a lasting legacy, nineteen of the of Andrews Raiders were recipients of the first Medal of Honor awards—vanguard for the soldiers of a reunited America in future wars displaying extraordinary courage all over the globe. 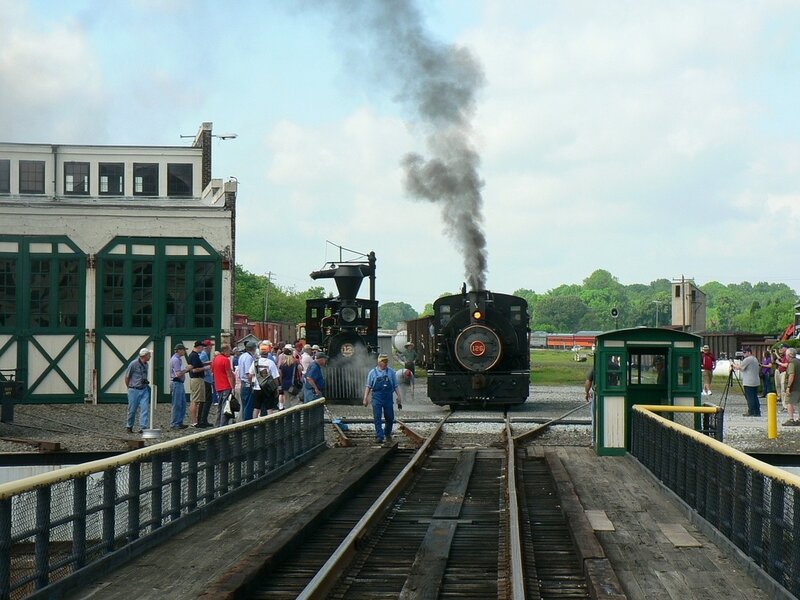 Few are the number of locomotives built prior to the Civil War that remain in existence. The ones that are preserved are in an elite group of significance whether it is pertinent to the specific railroad or a broader realm from a moment in American history. The Western & Atlantic 4-4-0 locomotive Texas certainly falls into the category of the latter. Not only did it earn fame in railroad annals but in the greatest stage of the day, the Civil War, was a participant in a one day event that stirs the imagination more than 150 years later. That moment, known as The Great Locomotive Chase, elevated the Texas and its famous adversary, the General, into immortality both in print and film. The Texas at an unidentified location and date. Possibly when first moved to Grant Park in Atlanta. On static display at Grant Park in Atlanta, the Texas would remain in this state for sixteen years exposed to the elements. This archival photo dates to probably 1911 when it was relocated to Grant Park in Atlanta. The Texas was built in 1856 for the Western & Atlantic Railroad by the Danforth, Cooke and Company in Paterson, NJ and shipped to the Port of Savannah. 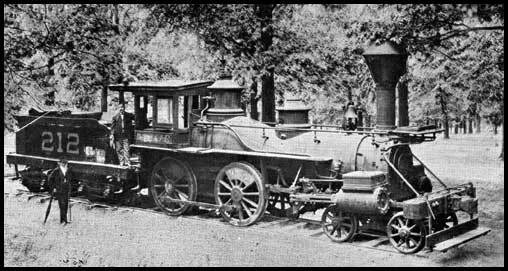 Furtherance by two other railroads delivered the locomotive to Atlanta where upon the W&A RR received it. 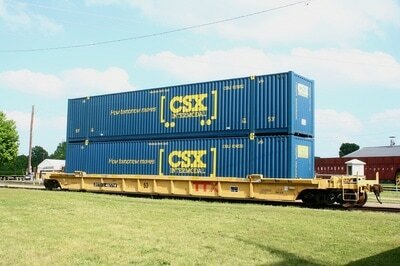 It was placed in general freight and passenger service between Atlanta and Chattanooga. 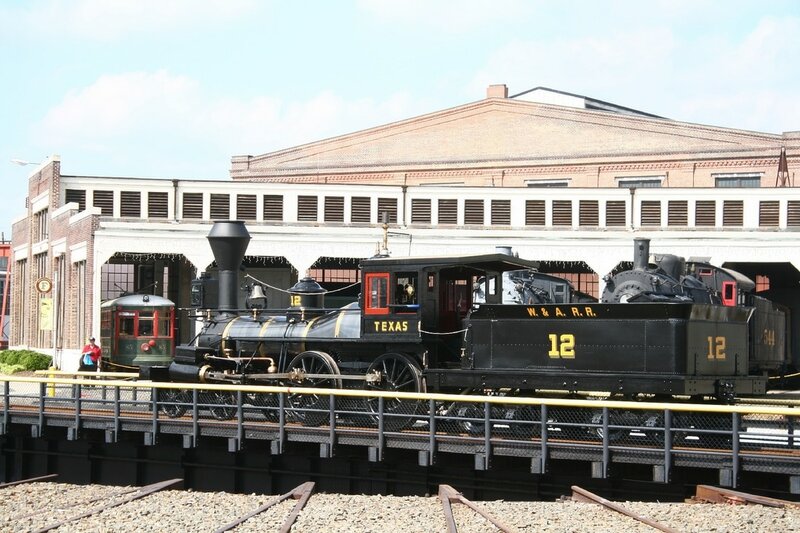 After the famous chase of April 12, 1862, the Texas was loaned to the East Tennessee & Virginia Railroad and while in service in Virginia, was captured by the United States Military Railroad. It remained in the possession of the Federal Army for the remainder of the war until September 1865 when it was returned to the State of Georgia. 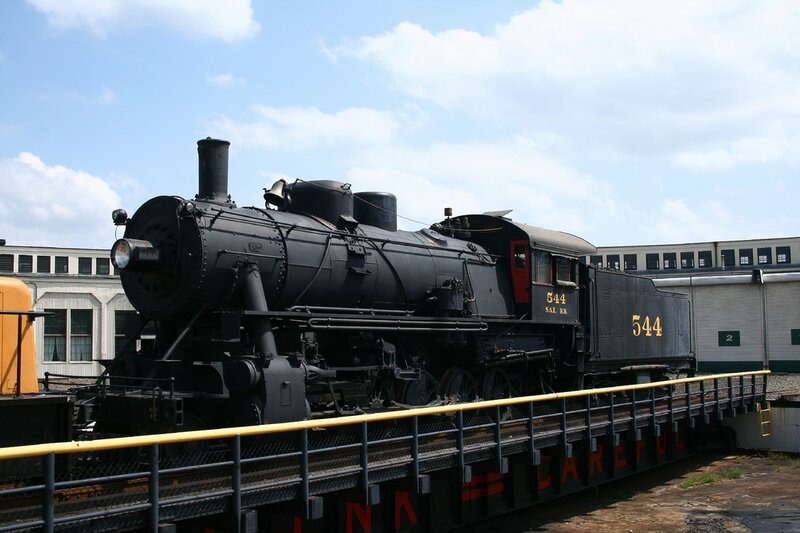 In the immediate post war era, the State of Georgia renumbered the W&A RR locomotives with the Texas receiving #49. The onset of the 1870s would signal changes for the Texas. Its name was changed to Cincinnati and renumbered as 12. 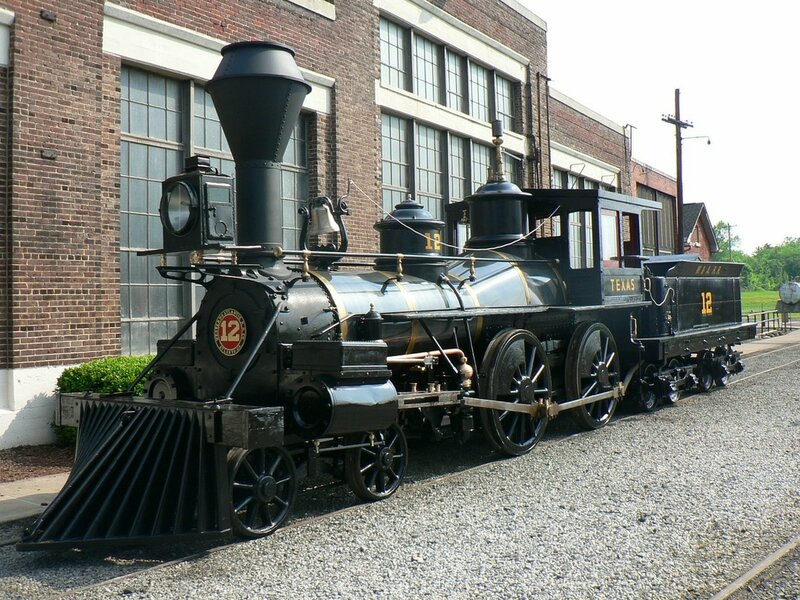 In 1877, physical modifications occurred with a replacement boiler and tender, conversion to coal burning, and a wheel gauge change from 5 feet to the steadily adapting standard of 4 feet 8.5 inches. 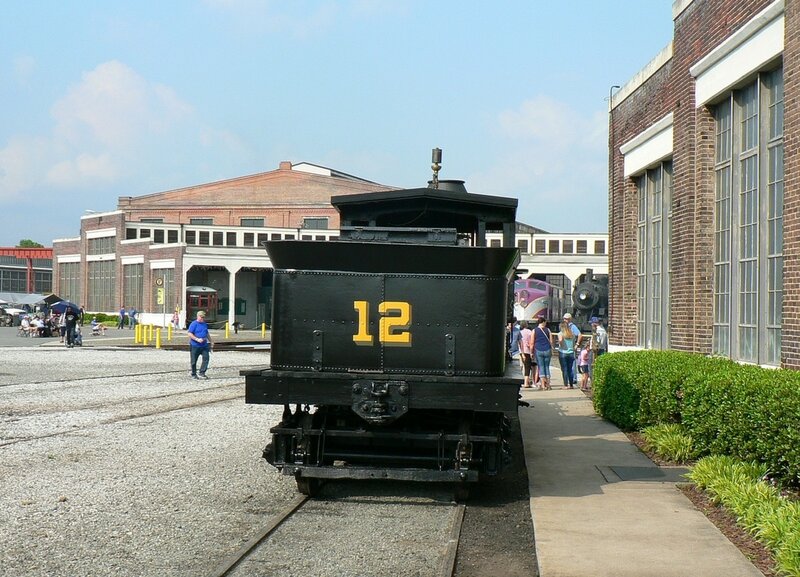 In 1890, the W&A RR was leased to the Nashville, Chattanooga, and St. Louis Railway and though the locomotive retained the Cincinnati name, it was renumbered to #212. 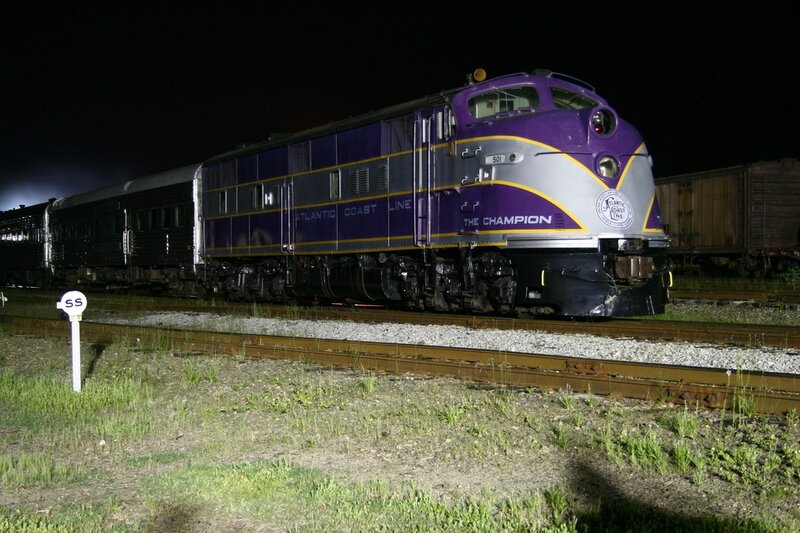 By 1895, the Texas/Cincinnati was in the operating twilight of its career and was removed from mainline service. It was relegated to branch line service serving a corn mill in Georgia until its retirement in 1907. 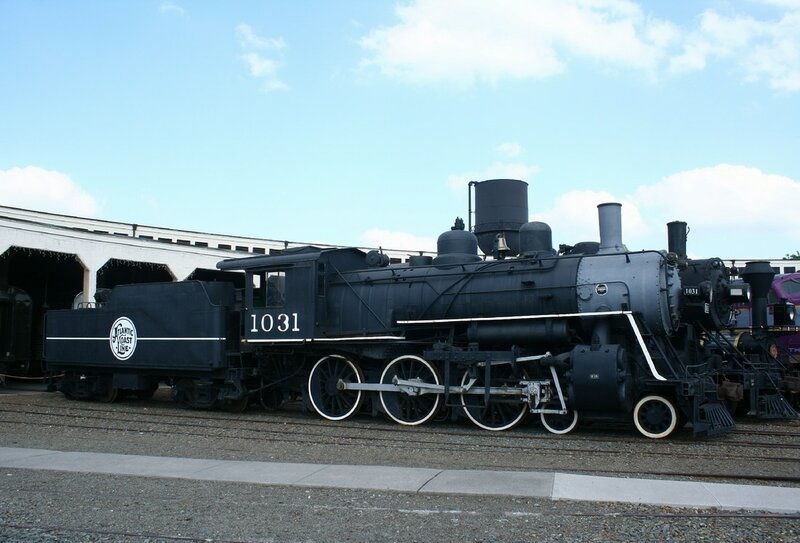 Upon its retirement, the locomotive was in poor condition and a fundraising effort was established to preserve it for its historical significance. The NC & StL Railway stated that it would donate it to either the State of Georgia or the City of Atlanta. In response, the state General Assembly passed a resolution for preservation but neither immediately acted. The Texas/Cincinnati remained on a siding awaiting its disposition. 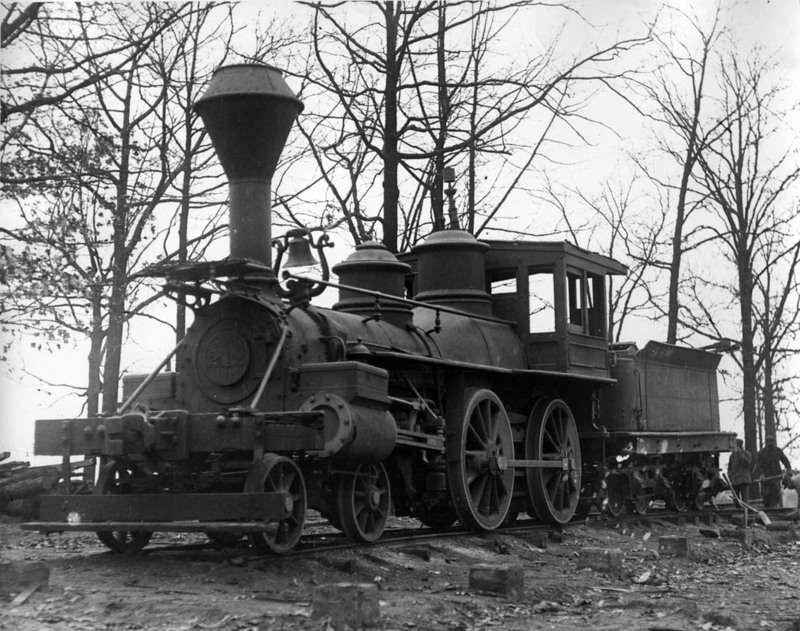 Finally in 1908, the locomotive through group efforts was donated to the City of Atlanta but by 1910, it still had yet to take possession of it. 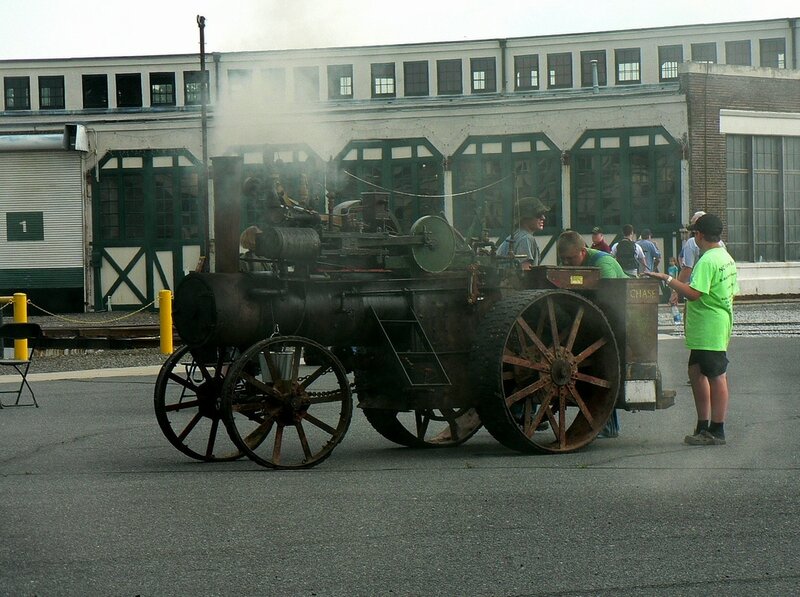 Eventually, the locomotive was moved to Grant Park the following year where it would remain on static display for 16 years. In 1927, the Texas was moved to the basement of the new Atlanta Cyclorama and nine years later, underwent a cosmetic restoration. This effort was an attempt to return the Texas to what was believed to be its wartime appearance. 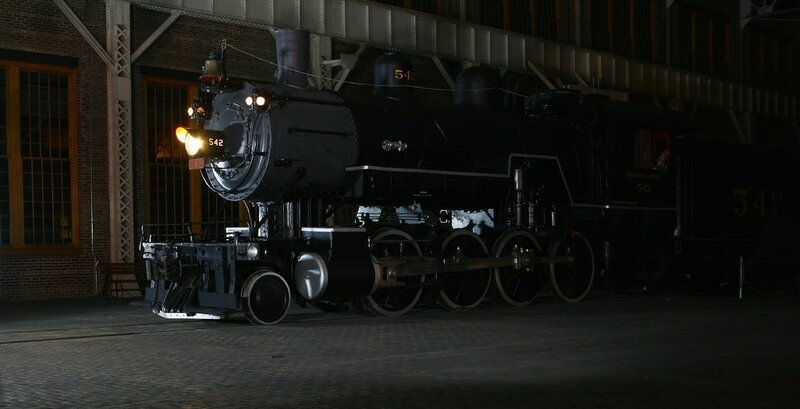 The 1936 modification was the last the Texas received until it was shipped to the North Carolina Transportation Museum during December 2015 for an intensive rework. This cosmetic restoration returned the Texas to its 1880s appearance –when it wore the name Cincinnati—and its 1870s number #12. 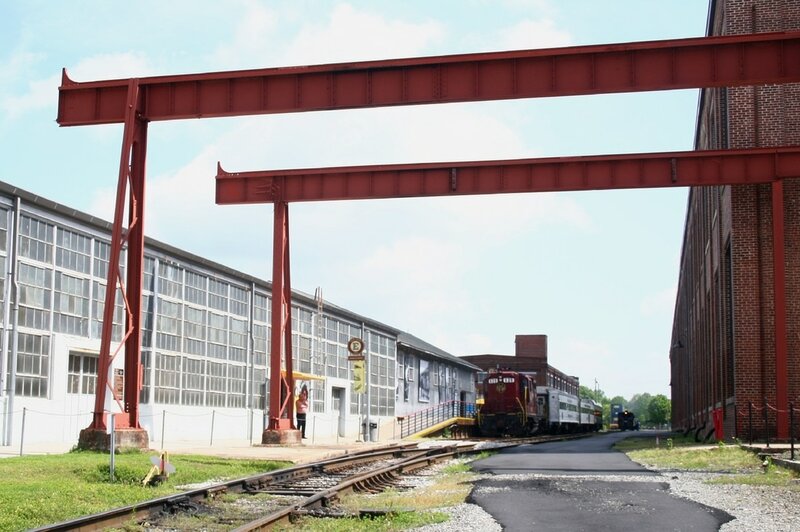 The official unveiling was this weekend event and at its conclusion, it is to be transported to its permanent home at the Atlanta History Museum. 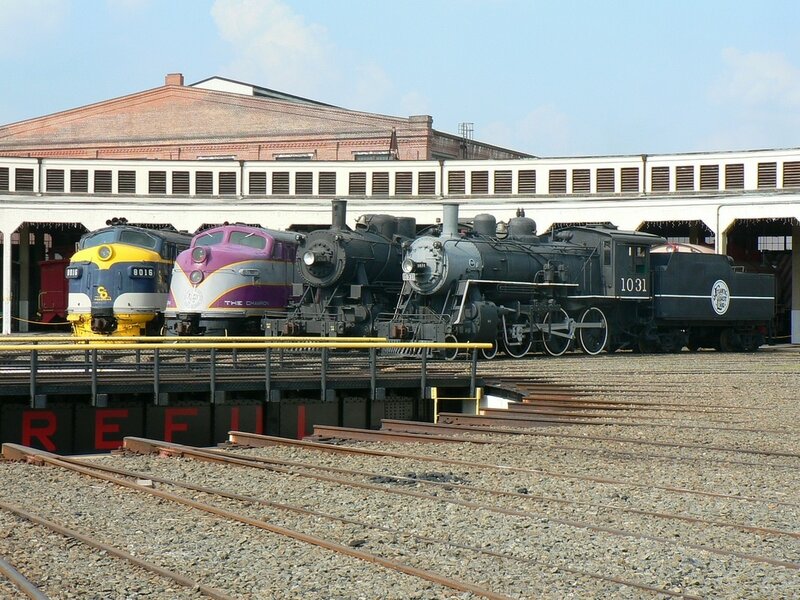 The North Carolina Transportation Museum (NCTM) event spanning the weekend of April 28-30, 2017 expanded beyond the original event billing. 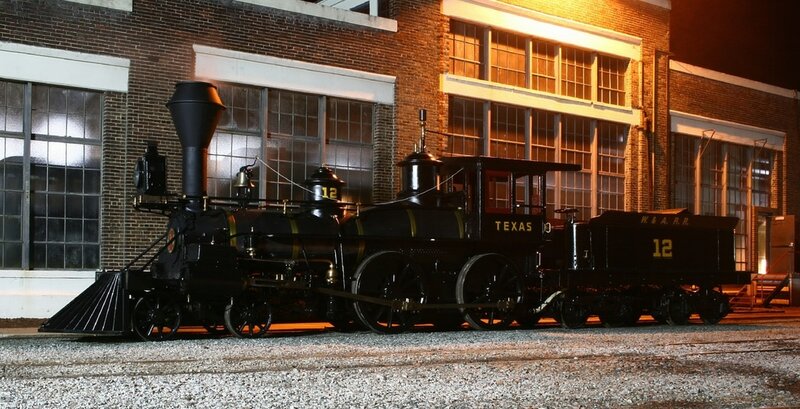 Foremost was the unveiling of the restored Texas locomotive of Civil War lore but the itinerary was expanded to incorporate substantially more. In conjunction with the Atlanta History Museum which as a co-sponsor participated in the Texas presentation, CSX Transportation was actively engaged in the event as well. 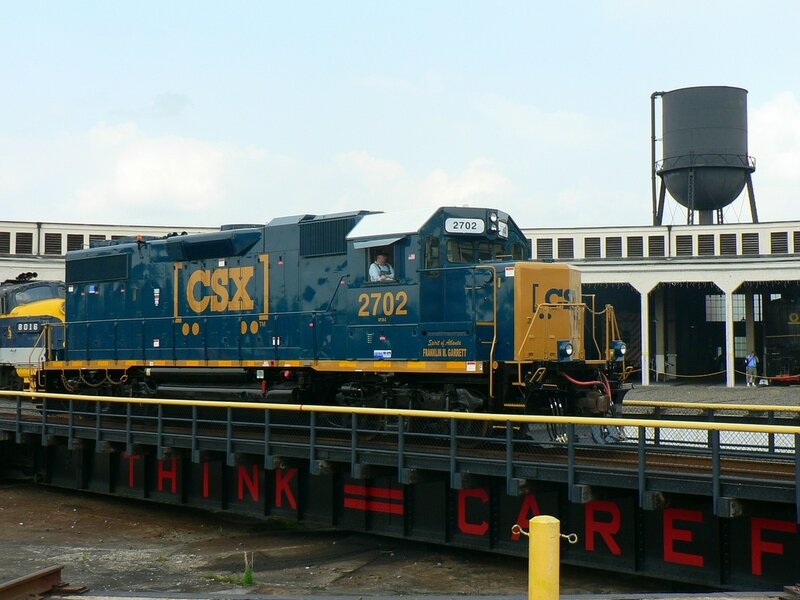 In a watershed event itself, CSX sent the GP38-2 #2702 "Spirit of Atlanta-Franklin M. Garrett" (Franklin M. Garrett was a recognized Atlanta historian) locomotive and an intermodal well car with empty containers to expand on the Atlanta history-Texas theme. 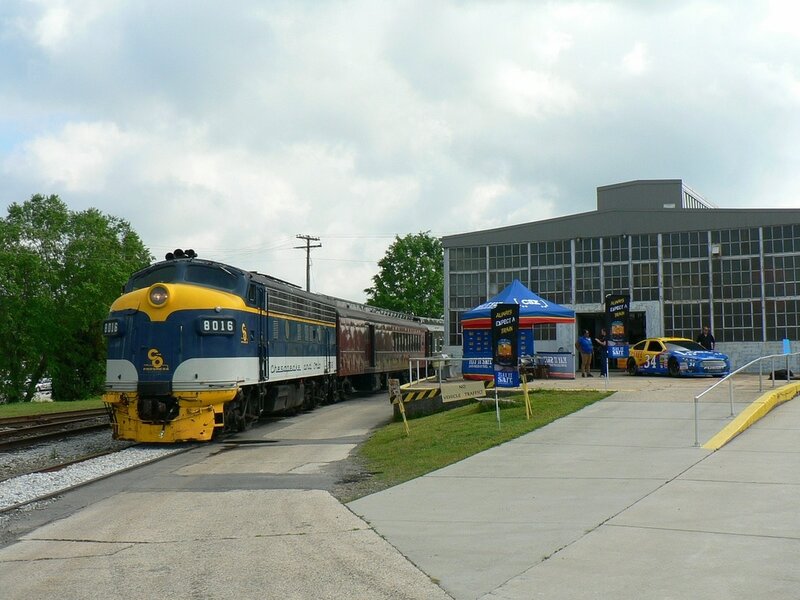 The company also set up a booth with its NASCAR simulator car manned by CSX employees promoting the company "Play It Safe" grade crossing safety campaign. This event marked the first time CSX ever participated at the NCTM as a primary event sponsor and for its equipment to appear on the property. 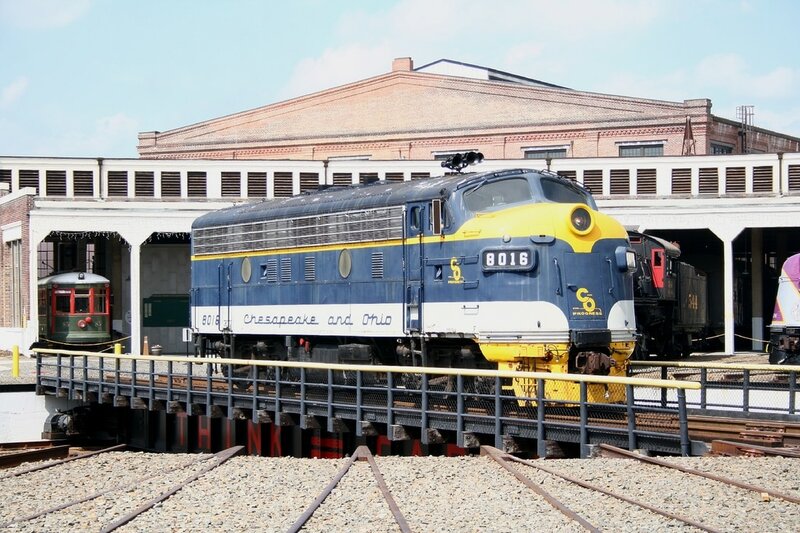 The NCTM used this opportunity to also create a mini CSX Heritage display. 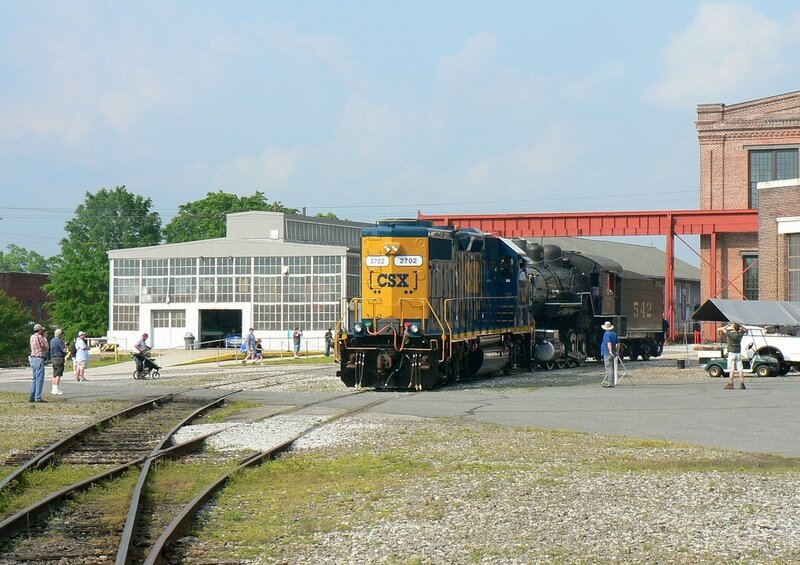 Utilizing its own collection of CSX predecessor locomotives, two diesels and two inoperable steam locomotives were incorporated into the theme along with the Texas and CSX GP38-2. 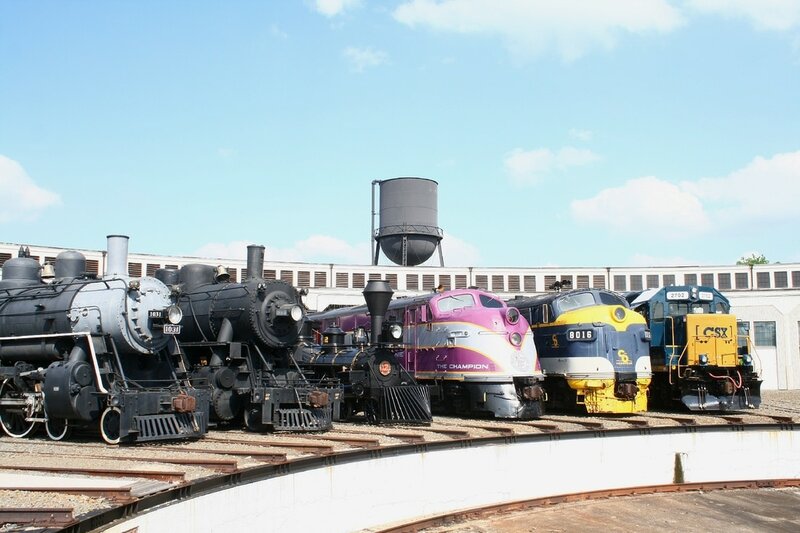 These locomotives were placed on display at the roundhouse radial and "introduced" as they were spun on the turntable. 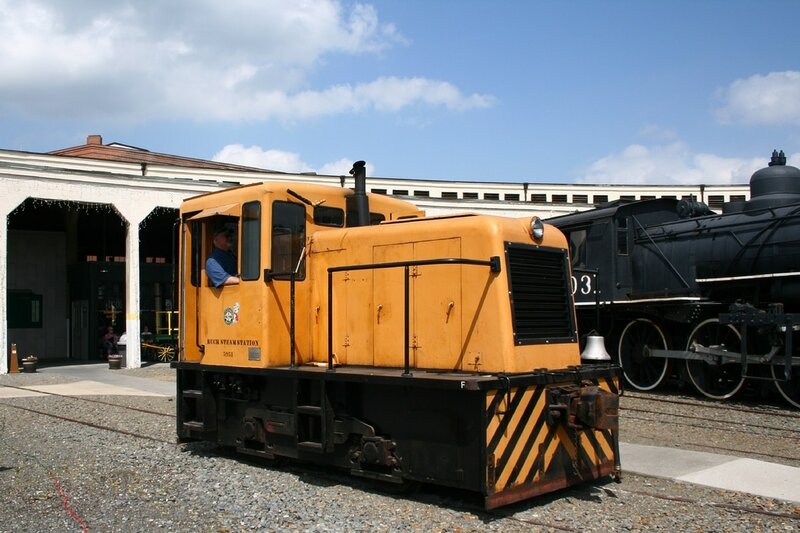 The museum inadvertently excluded a locomotive in its collection that could have also been included in this presentation--the Piedmont & Northern Railroad box cab electric. Other than that minor disappointment, the set up was well choreographed. In creating the display, the NCTM utilized the following locomotives: diesels- CSX GP38-2 #2702, Atlantic Coast Line E3A #501, and C&O F3Au #8016. The steam line up included the Texas 4-4-0 #12, Atlantic Coast Line 4-6-2 #1031, and Seaboard Air Line 2-10-0 #544. 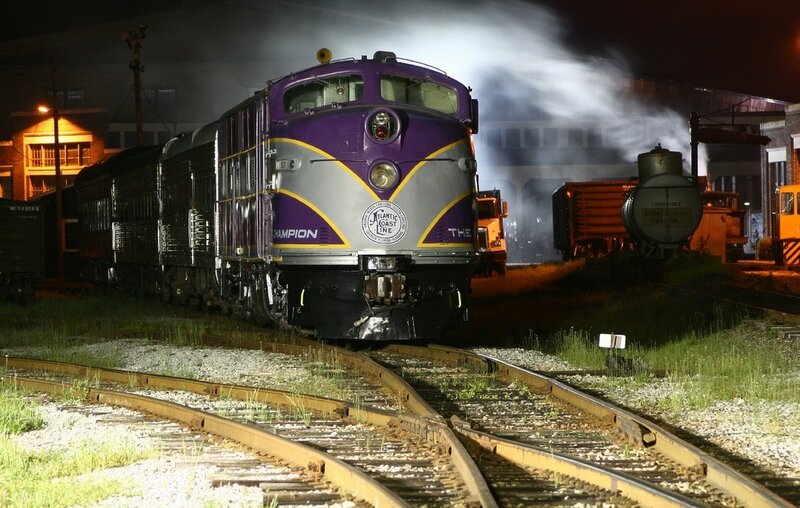 A photo night shoot was staged on April 29 at selected locations on the NCTM grounds that included the Texas, the #544, and the #501. Other activities on the weekend included excursion trains pulled by the C&O #8016 and the Lehigh Valley Coal Company 0-6-0 #126 pulling a caboose train. 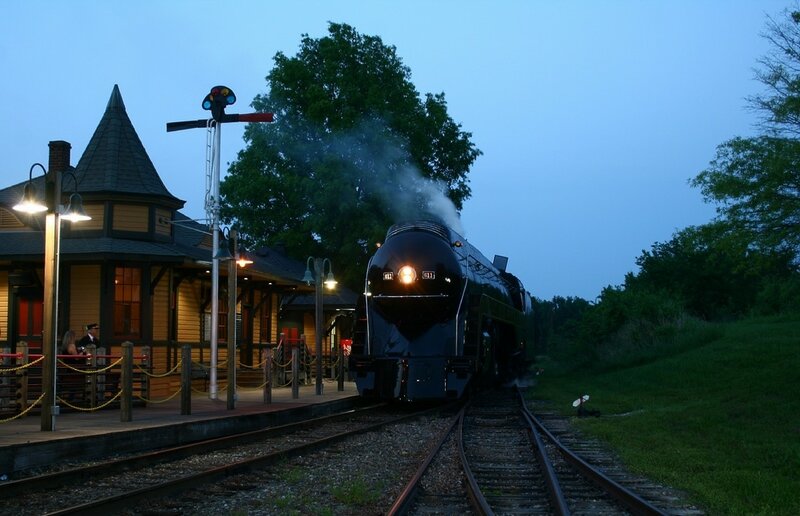 Another primary draw on the weekend was the presence of the famous Norfolk& Western #611. 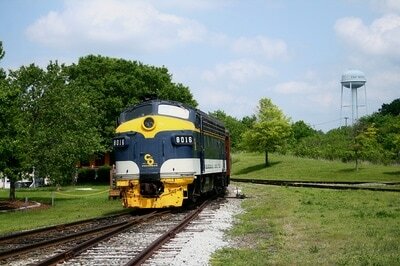 On Saturday, it was the excursion train power throughout the day. 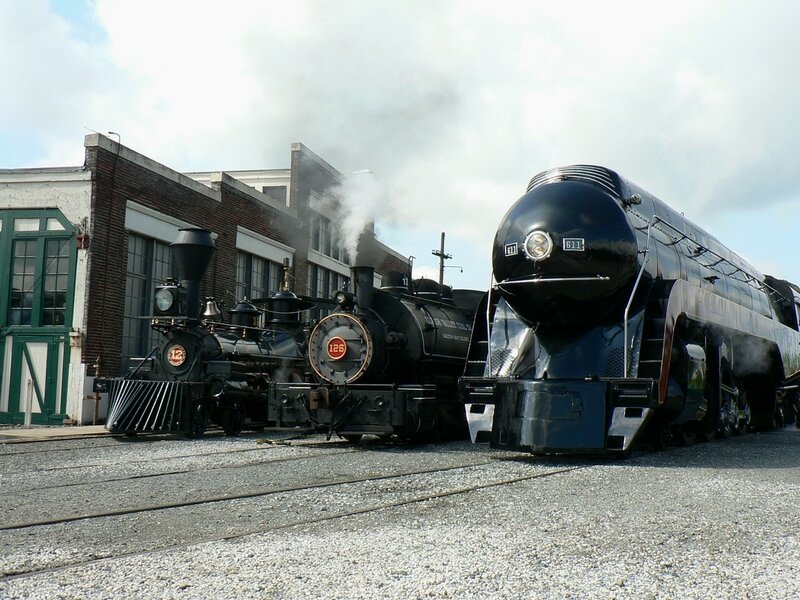 Saturday witnessed a catered "One Hundred Years of Steam" dinner in the old Master Mechanics Office that featured well known rail photographer Ron Flanary and N&W #611 historian Bud Jeffries. A non-rail exhibit included an exhibit of operating steam powered tractors. 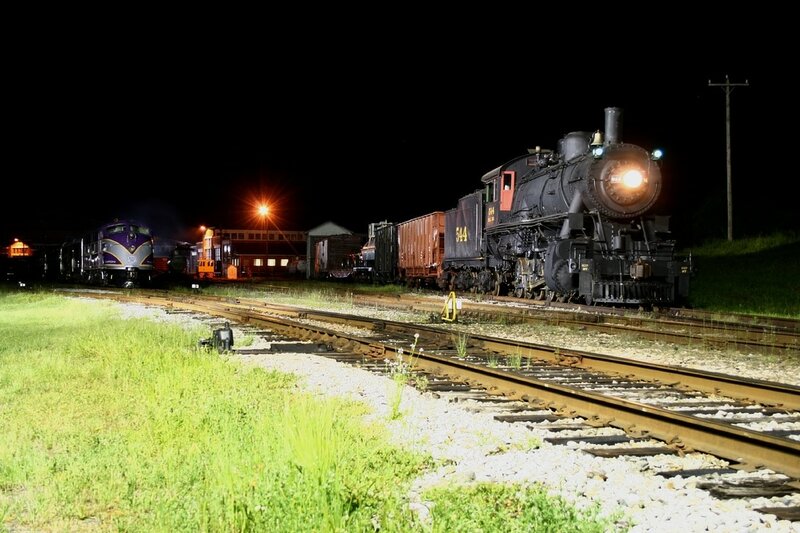 A selected gallery of images taken from the scheduled night shoot at the museum on April 29 that include scenes central to the event theme. 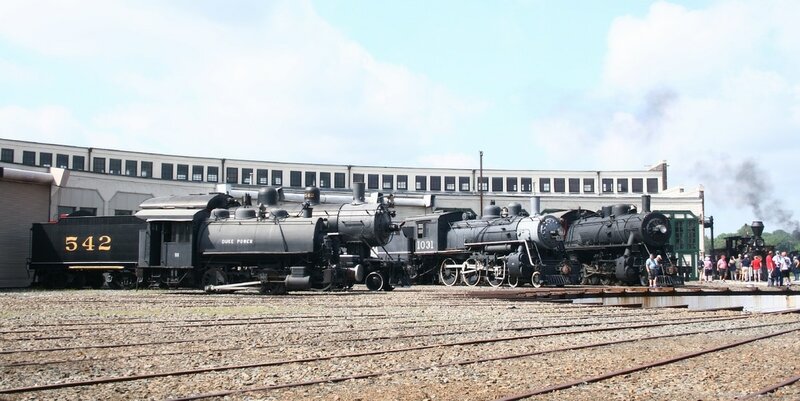 In addition, other elements not pertaining to the "Texas"-CSX Heritage were staged shoots of the Norfolk and Western Railway #611 and the Atlantic and Yadkin Railway (Southern) 2-8-0 #542. Seaboard Air Line 2-10-0 #544 is staged with a freight at the south end of the museum. 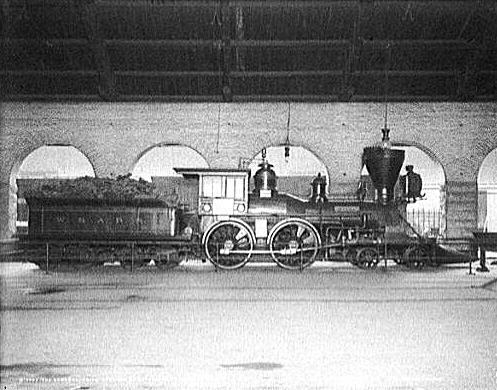 Not an operating locomotive, it was wheeled in place and the headlight and markers illuminated. 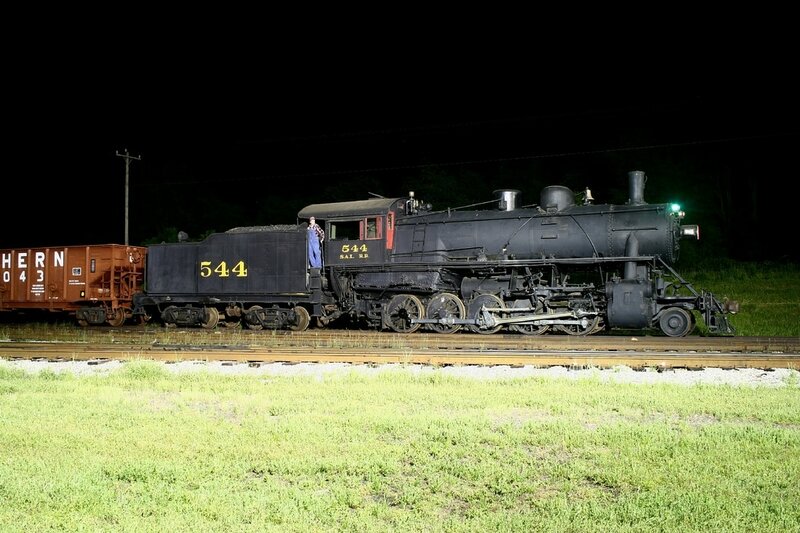 Side profile of the #544 with posed engineer. Originally a "Russian" Decapod, the locomotive was converted to US standard gauge. Characteristic of most 2-10-0s is the small wheel base. 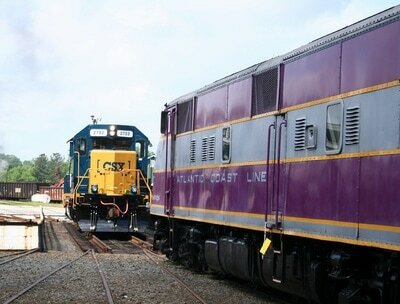 The distinctive purple, silver, and gold livery of the Atlantic Coast Line. E3A #501 of 1939 lineage with a staged passenger train at the museum south grounds. 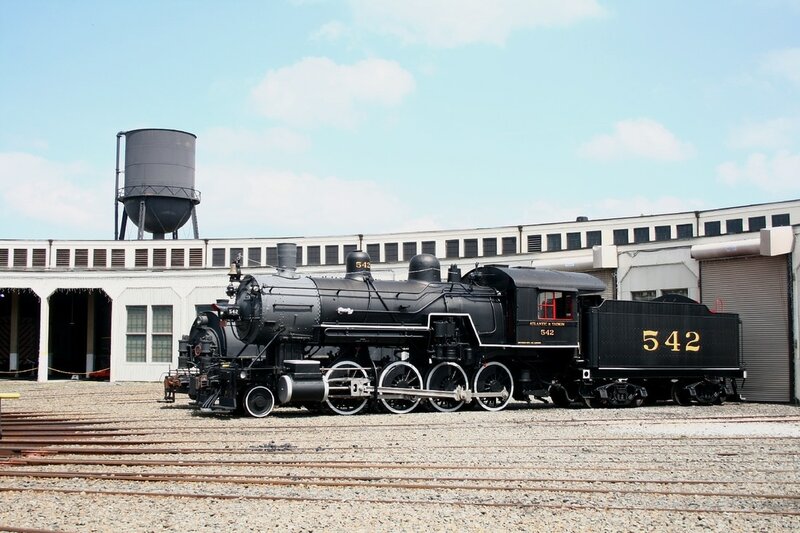 Western & Atlantic 4-4-0 "Texas" on display at the NCTM roundhouse. 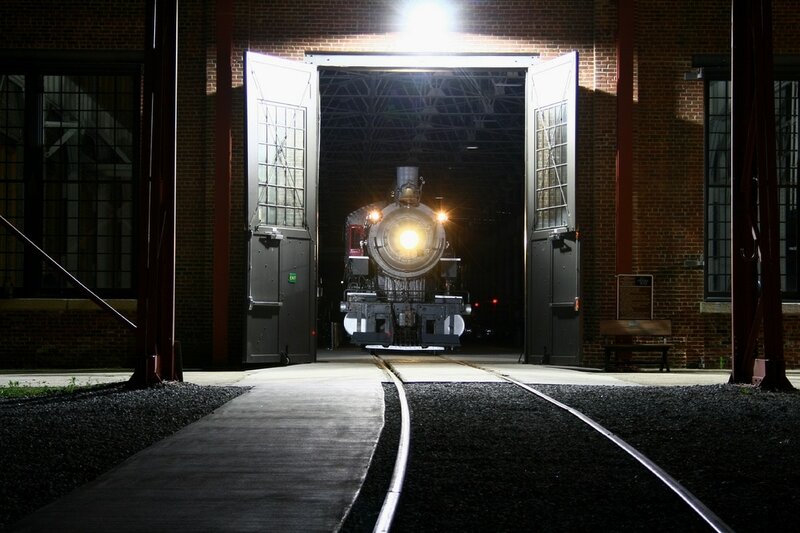 A beautiful restoration of this historically significant locomotive as it appears at night. The #501 against a backdrop from the moody mist of time. "Mist" is actually smoke from an installed "smoke box" in the "Texas" near the roundhouse. Railroads came of age during the American Civil War and the "Great Locomotive Chase" is a tale of its escalating strategic importance. The "Texas" and the "General" it pursued are among the earliest of legends. Emerging like a ghost from the past, A&Y Consolidation #542 peers out the back shop door. A staged event that inadvertently created NCTM history. Blue transitions to the black of night at the Barber Junction depot. 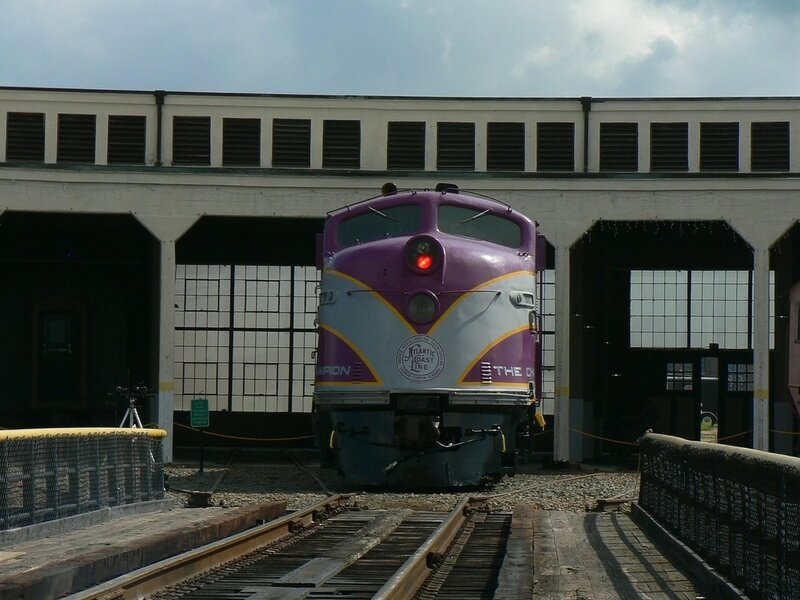 Nose profile of N&W #611 at the station platform. 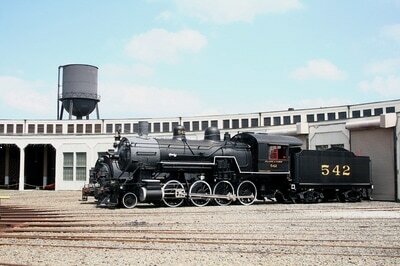 Atlantic and Yadkin (Southern) Railway 2-8-0 #542 surely rekindled any spirits within the walls of the Spencer back shop. 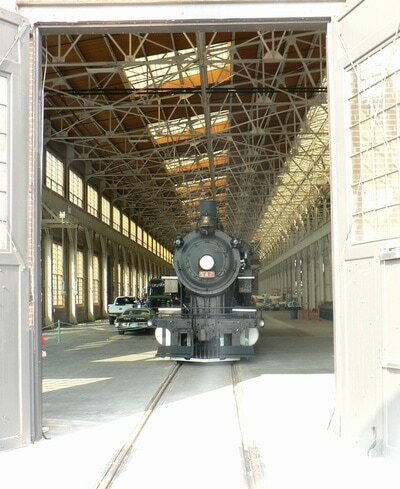 A historical moment of its own, this was purportedly the first Southern steam locomotive in this building since 1953. 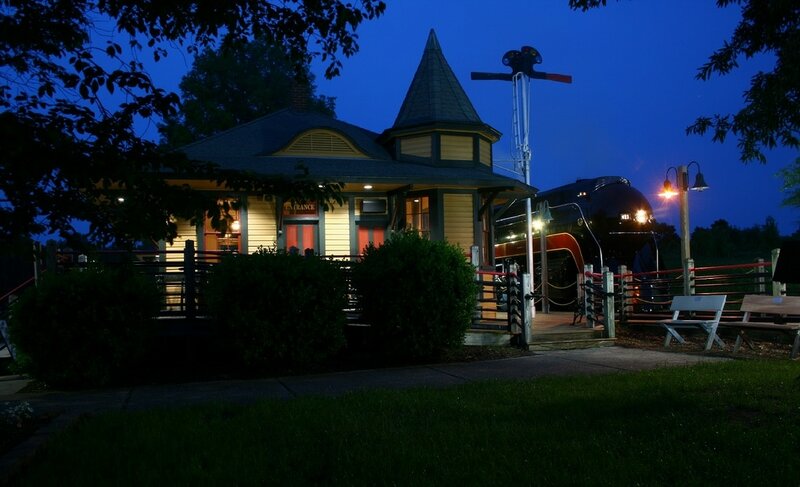 The N&W #611 by the Barber Junction depot at dusk. This may now be the most photographed locomotive in American history prompting some voices of complacency and assumption. Lest we forget what is here today may be gone tomorrow. We can take pause if necessary but must never become unappreciative of this mechanical beauty. In my many years of attending events at the NCTM and museums elsewhere, an impression that always leaves its mark is the people involved in all aspects of presentation. Whether it is the event organizers or the volunteers on site, they are to be commended and recognized for their efforts—often with limited resources. All are doing their respective tasks not for reward but because they share the same passion about the equipment, events, and legacy as does the public. It is this passion that keeps history alive and in an enduring state for generations to come.